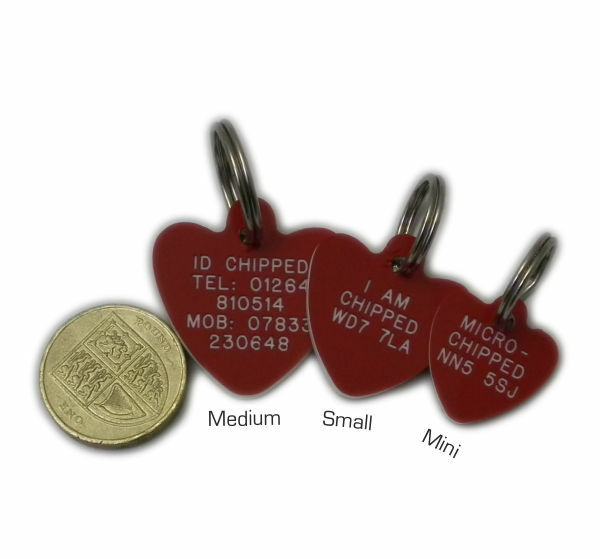 Small Hearts 25mm engraved pet identitags. 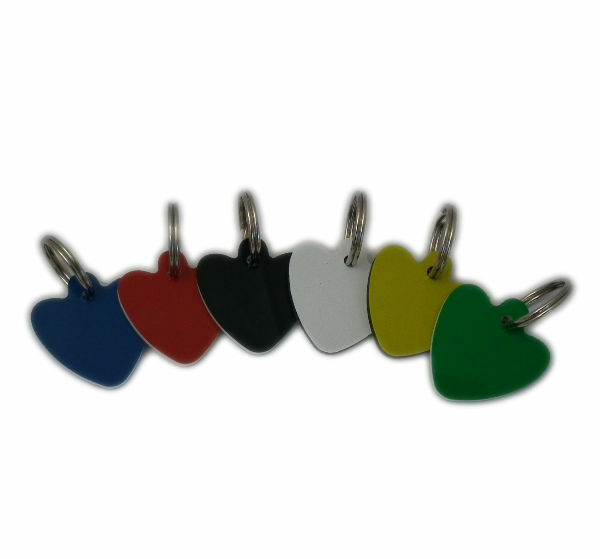 Our plastic dog and cat tags are produced from Hi-impact Acrylic make them hardwearing but light weight. Maximum Number of Characters 50.Suitable forSmall, Medium, Large/Giant Breeds of Dogs Prices includes split ring and carriage. You have 360 characters left. Do not use HTML. "Dog Tags, Two small ❤️ with engraved details, these are perfect & I am now in the process of ordering 2 more of a different colour, very readable & look smart."